The presidential election is now less than a month out—despite what Donald Trump tweets. The changing of the guard in January will leave President Barack Obama with a lot of time on his hands. Our current Commander In Chief’s plans for retirement include spending some time in Washington, D.C., though not in politics. But he has shown some interest in publishing—he’s serving as guest editor for Wired this week. So far, the president’s used that power for good. In addition to suggesting that the federal government should back the development of artificial intelligence, he penned a stirring essay about the progress we’ve made as a country. 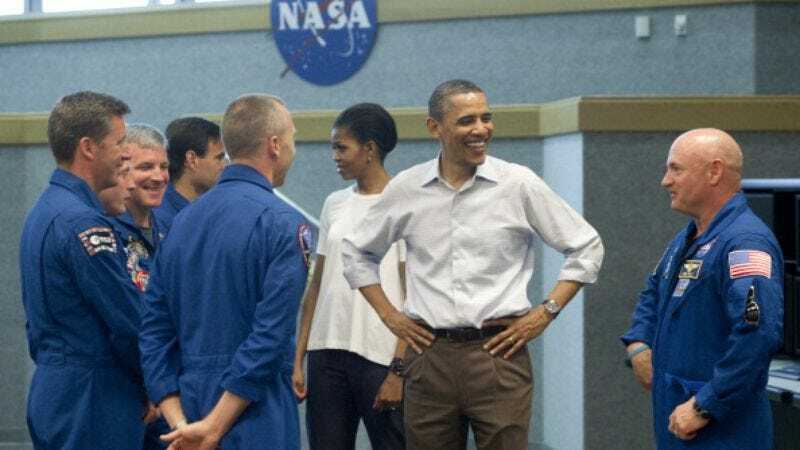 In his guest post, Obama discussed the progressive ideals and themes of science fiction, which naturally led him to put together a list of his favorite entries from the genre. And the Wired staff’s gone to the trouble of tracking down just where you can watch these sci-fi staples online. So get your Hulu, Vudu, Amazon Video, and CBS All Access passwords ready (Netflix is oddly absent).